Feature on Spine Correction Center of the Rockies’ scoliosis therapy with Dr. Michael Farrell, D.C. and a patient. By: Laura Lee Carter The Spine Correction Center of the Rockies represents the very best in non-invasive, non-surgical treatment for scoliosis and disc disorders. By: Michelle Dynes Monday, June 29,2009 – Wyoming Tribune Eagle Two of the fewer than 20 Chiropractors nationwide offer noninvasive treatment a their clinic in Fort Collins, CO.
“Staying Healthy” On Denver 7 News Spine Correction Center was recently featured on the Denver 7 News Segment, The story focused on Dr. Farrell’s alternative scoliosis treatment and the success his patients are seeing. By: Michelle Dynes Friday, August 1, 2008 – Wyoming News CHEYENNE – Scoliosis patients have few options. By: Michelle Dynes Thursday, September 25, 2008 – Wyoming News CHEYENNE – Back pain is one of the most common reasons people visit a doctor’s office. Fort Collins Spinal Rehabilitation Clinic is adding additional staff and physical therapy services to its clinic. Thursday, June 3, 2010 FORT COLLINS – The Spine Correction Center of the Rockies now offers a non-surgical treatment for scoliosis and disc disorders. Monday, June 21, 2010 FORT COLLINS, COLORADO – A new genetic test that predicts the likelihood of curve progression in patients diagnosed with Adolescent Idiopathic Scoliosis (AIS) is available in the office of Dr. Michael Farrell, D.C. and Dr. April Cardwell, D.C. at the Spine Correction Center of the Rockies at 1101 Oakridge Drive, Suite A in Fort Collins, Colorado. Wednesday, July 14, 2010 FORT COLLINS, COLORADO – Dr. Michael Farrell, D.C. of Spine Correction Center of the Rockies in Fort Collins, Colorado announces a new, effective treatment for early stage scoliosis treatment (ESST). The new treatment offers an alternative to rigid back bracing and surgery..
Tuesday, August 17, 2010 FORT COLLINS, COLORADO – There is a new treatment for pain caused by bulging or herniated spinal discs called spinal decompression therapy. It is available at Spine Correction Center of the Rockies in Fort Collins, Colorado. Monday, September 27, 2010 FORT COLLINS, COLORADO – People who suffer from scoliosis now have a better, more effective, and less painful option than the common Harrington Rod Implantation treatment. Wednesday, October 27, 2010 FORT COLLINS, COLORADO – Spine Correction Center of the Rockies is now offering advanced treatment options for patients on-site through a new Nurse Practitioner. The new services include botanical injections, advanced diagnostics, and durable medical equipment prescriptions. Saturday, November 27, 2010 FORT COLLINS, COLORADO – The Spine Correction Center of the Rockies in Fort Collins, Colorado continues to grow, meeting nationwide demand for botanical injections, advanced diagnostics, and durable medical equipment prescriptions and integrated chiropractic care through excellent care and the latest proven treatment methods. Tuesday, December 21, 2010 FORT COLLINS, COLORADO – Colorado’s Spine Correction Center of the Rockies recently shifted their focus from being a premier Chiropractic provider to being Northern Colorado’s premier integrated care facility. They have added additional staff to create a team of specialized doctors to address patients’ needs beyond just chiropractic. 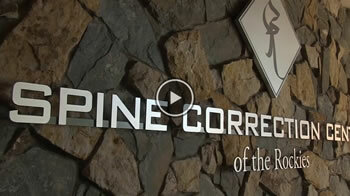 Friday, January 28, 2011 FORT COLLINS, COLORADO – Spine Correction Center of the Rockies is pleased to announce the launch of their redesigned website at new.spinecorrectioncenter.com! The new website features site search, improved navigation, more ways to stay in touch, and more content for visitors on back pain, migraines, carpal tunnel, and other common muskuloskeletal conditions. Wednesday, March 16, 2011 FORT COLLINS, COLORADO – In the United States over 45 million people experience chronic recurring headaches. Dr. April Cardwell of the Spine Correction Center of the Rockies at 1101 Oakridge Drive, Suite A in Fort Collins is offering a new treatment for patients with all types of headaches, including migraines. Wednesday, June 1, 2011 FORT COLLINS, COLORADO – June is the official National Scoliosis Awareness Month. In honor of this, Colorado scoliosis clinic Spine Correction Center of the Rockies is giving free scoliosis screenings for the month of June. See the press release here. Tuesday, August 15, 2011 FORT COLLINS, COLORADO – September is National Pain Awareness Month. Back pain is the second most common reason for visits to the doctor’s office. There is a new treatment for pain caused by bulging or herniated spinal discs in the neck and back called spinal disc decompression therapy. The treatment is an alternative to surgery or prolonged treatment with prescription medications for patients.